This course is available on its own for 6 days – or as part of a 10 day package with The Basics of Kundalini Yoga in Canggu, Bali. This week long immersion is part of the Self Mastery Series and offers 35 CEU hours. Here, Indonesia’s rich architectural heritage provides an exotic setting for life’s finest comforts and experiences. From spectacular accommodation to fresh, local meals, group activities and a complimentary massage, see what we have waiting for you. 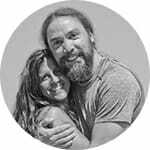 For 200 hour Yoga Alliance certified teachers the credits of the course can be applied towards the 500 hour certification, and is eligible for 35 hours CEU with Yoga Alliance. Continuing Education Units are required to maintain your status as a Registered Yoga Teacher. Upon completion of this course and full payment, students will receive a Certificate of Completion documenting participation and attendance. In order to be a certified yoga teacher, students must also have completed a 200 hour Yoga Alliance Yoga Teacher Training. 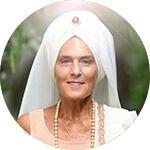 This course is available on its own for 6 days – or as part of a 10 day package with The Basics of Kundalini Yoga in Ubud, Bali. *This course is also offered online. 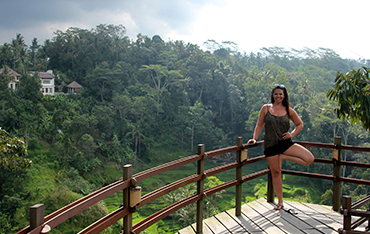 If you are attending the Heal Your Heart immersion you will stay in vibrant and spiritual Ubud, featured in bestselling Eat, Pray, Love. Here you will be accommodated in the Blue Karma Resort, a peaceful haven nestled on the hillside, in the middle of rice paddies. Experience the luxury of traditional yet contemporary Javanese style rooms, featuring carved teak and lava stone that blend with modern accents. Amenities include a swimming pool, onsite restaurant and spa with a complimentary 1-hour massage. Here, Indonesia’s rich architectural heritage provides an exotic setting for life’s finest comforts and experiences. Discover the true essence of Bali in sensual spa rituals, exceptional cuisine, and the rich tapestry of cultural and spiritual traditions that are central to the rhythm of Bali life. 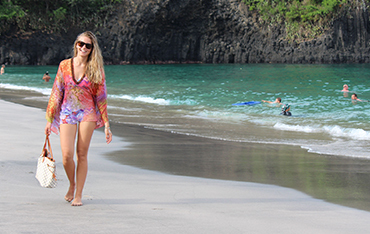 Lose yourself in a truly exotic Balinese experience. The serene yoga and meditation space faces the gardens and when possible you will experience yoga on the open roof wooden floor platform in the magnificent gardens. All yoga mats and props are provided. Pamper yourself with a variety of therapeutic and beauty treatments designed to balance mind, body and soul, and reignite the inner glow in the Padma Spa. Relax on sunbeds around 2 common swimming pools and bustling café area. 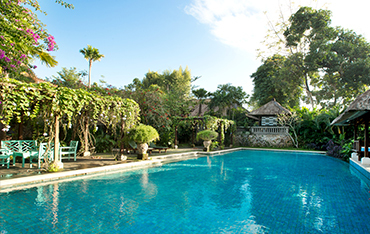 In addition all villas except the Garden Villas have a private pool. 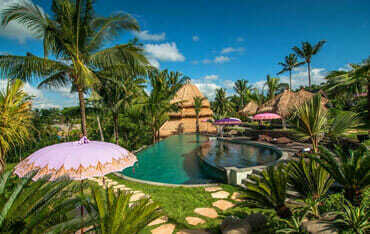 Teras Canggu proudly brings the authentic taste of Balinese culinary heritage imbued with fresh, farm to table produce. Enjoy the finest flavors to be found on the streets of Bali, reinterpreted with a modern twist for a world-class dining experience. 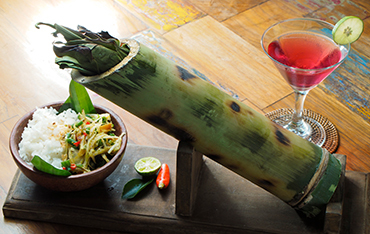 Savour local dishes such as the signature Lobster Bakso and a fresh take on Bali’s famous Babi Guling. Healthy vegan and vegetarian dishes are available. Should you wish for Western comfort food in the privacy of your room, choose from a delicious room service menu. Want a more secluded location? The Tiga Dari’s snack bar is in the center of the resort. This is ideal for enjoying a meal together in private. Indulge yourself at the Padma Spa where you can enjoy a one- hour complimentary massage during your stay.